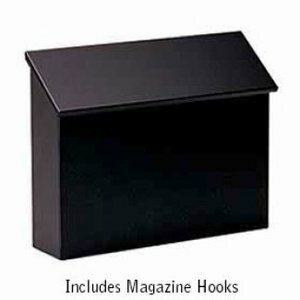 It's designed to be surface mounted and features a durable powder coated finish available in five (5) contemporary colors and includes 5" detachable magazine hooks (not shown) . This box does NOT lock. It is however, available with factory installed stainless steel locking security kit with two (2) keys. The slot size is reduced to 12-1/2" by 1"